Some babies adore tummy time and rolling about on the floor and some simply don’t. But no matter which way your baby leans, it’s an incredibly important part of development and strength building. That’s why a fantastic playmat for the keen and not-so-keen little ones is essential. We’ve found two such playmats from French company Ebulobo, a brand we love and have recently featured. Brimming with delighfulness, playfulness and imagination, the playmats will keep babies entertained and happy while learning. The Louloup (crazy wolf) and Woodours (bear) playmats are truly unique in their colours, fabrics and little extras (the little red riding hood-like doll that comes with Louloup for instance). 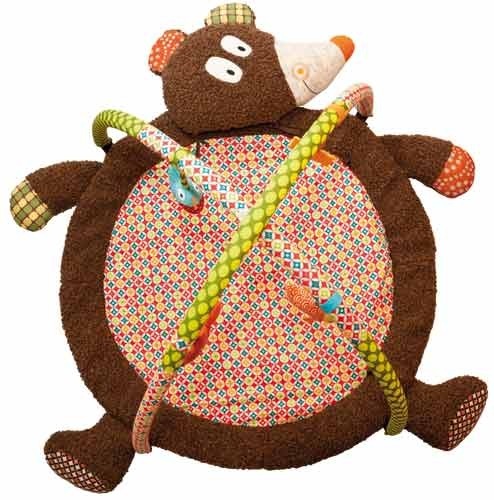 They each have four activity toys, removable arches, crinkle in arms and legs and a soft ‘pillow’ – actually the smiling face of the bear and wolf. 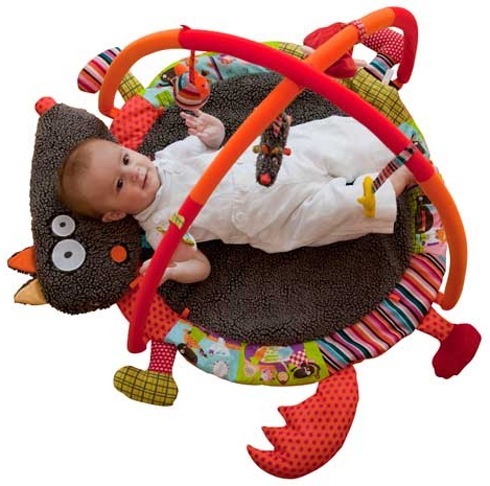 Scoot on over to Metro Mum to snap one up for your little cherub and let the happy tummy time begin. Louloup costs $174 and Woodours $195 plus postage.